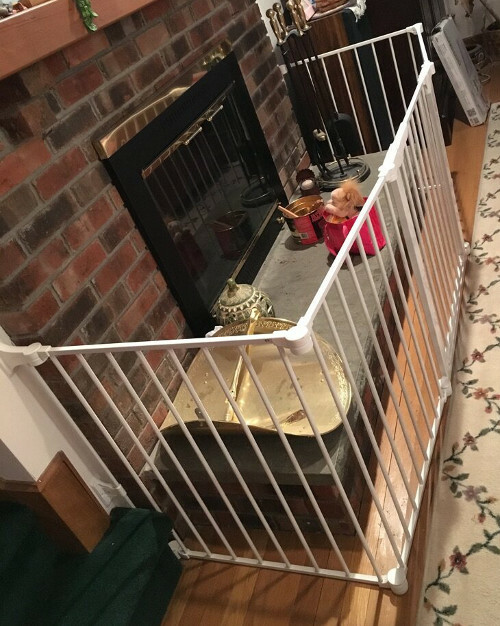 Below is a Baby Safe Fireplace Hearth Gate we installed in a customers home in Fairfield Connecticut. These child safe hearth gates come in white and black. The toddler safe fireplace hearth gate is mounted to each side of the fireplace and has an access door to make using the fireplace easy and convenient. This baby safe gate can also be removed for cleaning and entertaining. 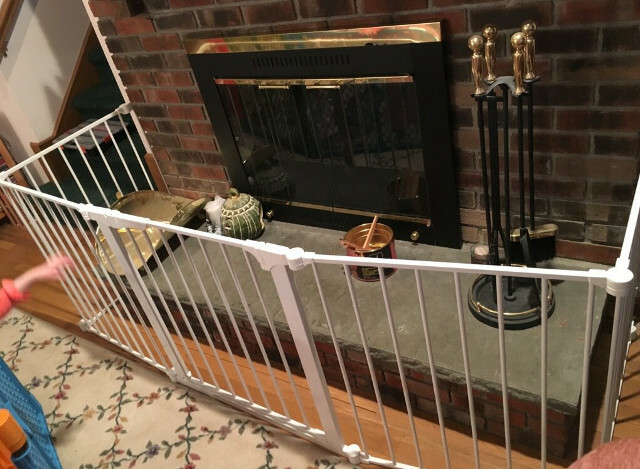 If you need help with a child safety gate for your fireplace or hearth, please contact your local Baby Safe Homes safety professional. We would be happy to assist you with your childproofing needs.